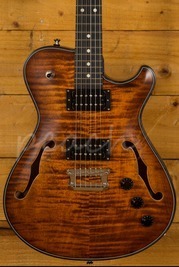 Here is a super cool Peach exclusive, in conjunction with Suhr we are bringing in some super tasty Classic Pro’s. With a custom spec and some really sweet features, these Classic Pro models will only be available through Peach. 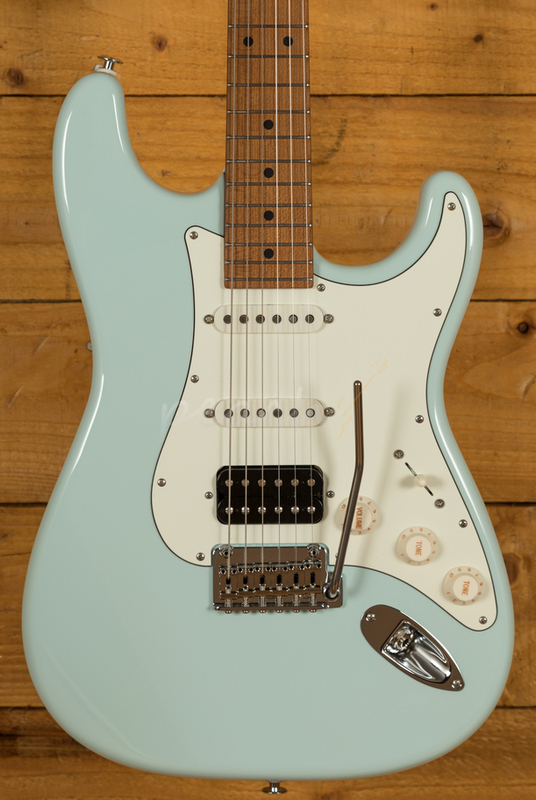 The Classic Pro range from Suhr has long been hailed as one of the best Strat alternatives around, with modern build techniques and a hint of vintage mojo they never compromise on playability and tone. 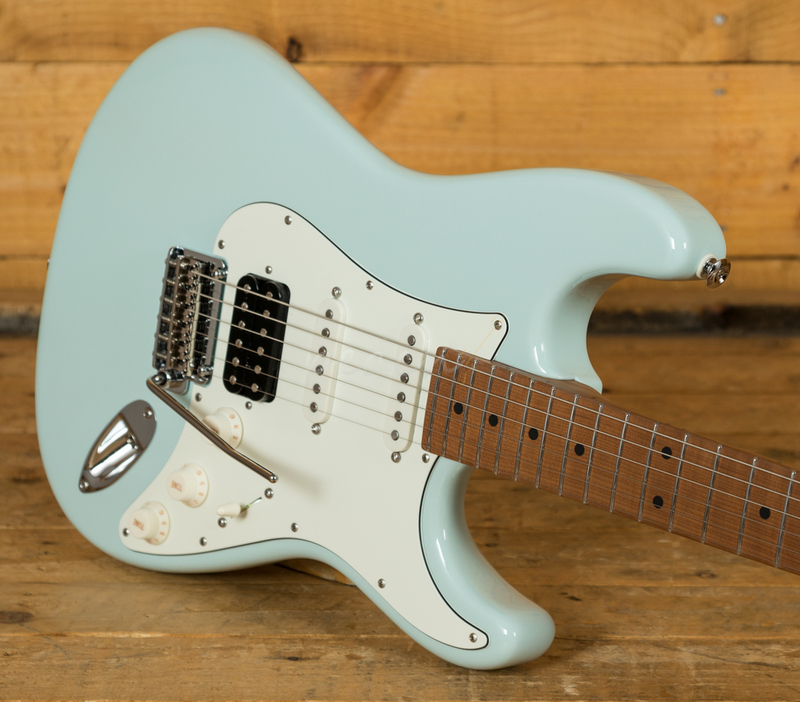 With an Alder body they offer a strong, full bodied tone with great lows and chunky mids, it’s a real tonewood favourite. 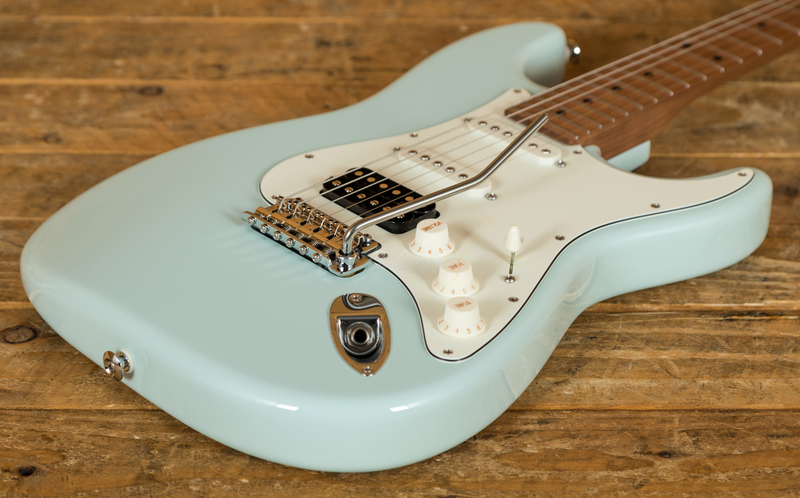 Finished in Sonic Blue, Suhr’s finishing process provides the ultimate mix of protection and clinical appearance without stifling the natural tone of the wood. 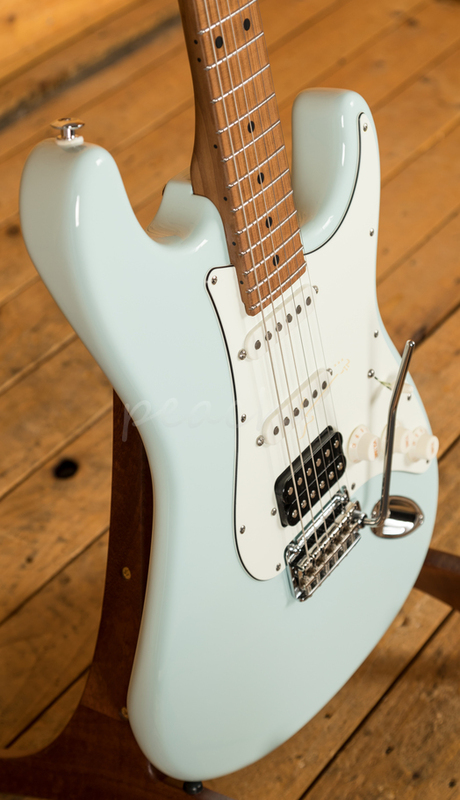 The Roasted Maple neck offers a tighter, snappier response and is really smooth and fluid underhand. 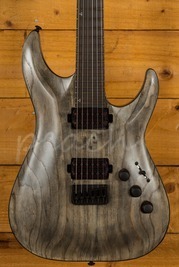 With an even C medium profile, rolled frets, a compound 9''-12'' radius and a Roasted Maple fingerboard this a substantial but real comfortable guitar. 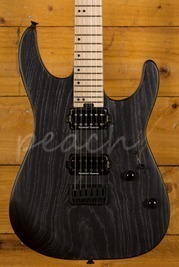 It has the best possible string action, playability and intonation. 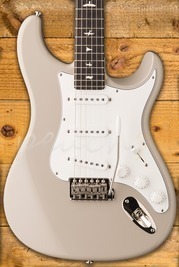 Benefitting from 2 Mike Landau single coil pickups it replicates those famous Strat tones, rich, punchy and ready to growl. 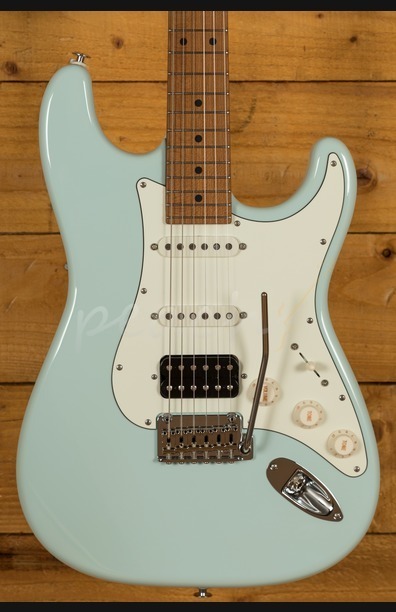 The Landau pickups are overwound for increased sustain and a higher output. 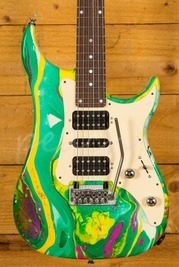 In addition, a cracking Thornbucker Plus sits at the bridge to really open up the tone. 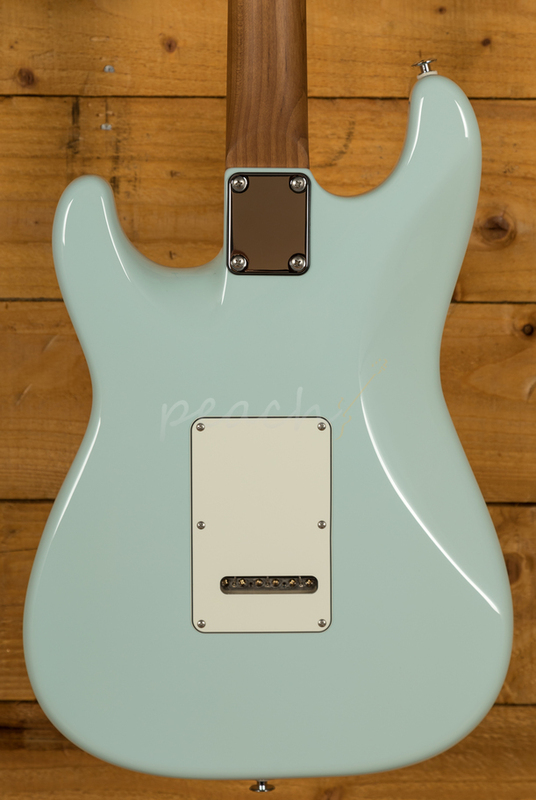 The Peach Classic Pro is versatile and adaptable and boosted by the Suhr SSCII, a completely transparent noise reduction system. Installed inside the body, it reduces 60 cycle hum and has no effect on tone, it just helps keep those crystal clear tones ringing!